OpenCart is one of the most prominent open source eCommerce platform that most of the websites rely upon. With its effective features and functionality, it has earned the credits of many who have relied upon it. With a good percentage of market capitalization, OpenCart has always been upfront with its competitors. The new updates and features make it a good choice to make for your eCommerce website. Here, we will guide you through your OpenCart website upgrade process so that you can avail the benefits of the latest version of the OpenCart platform. 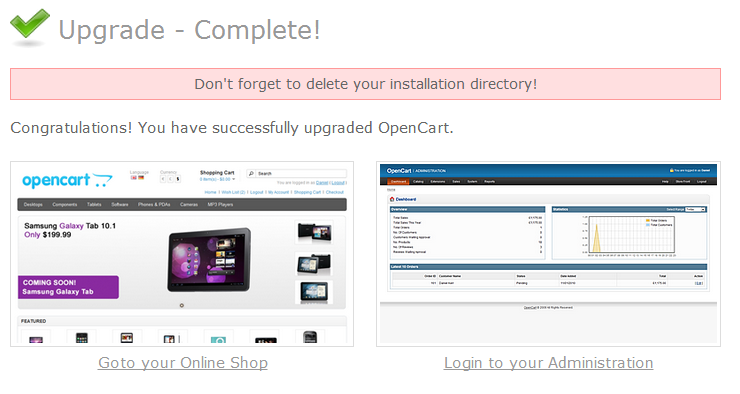 Now we will guide you through with the step by step process for upgrading your OpenCart based website. 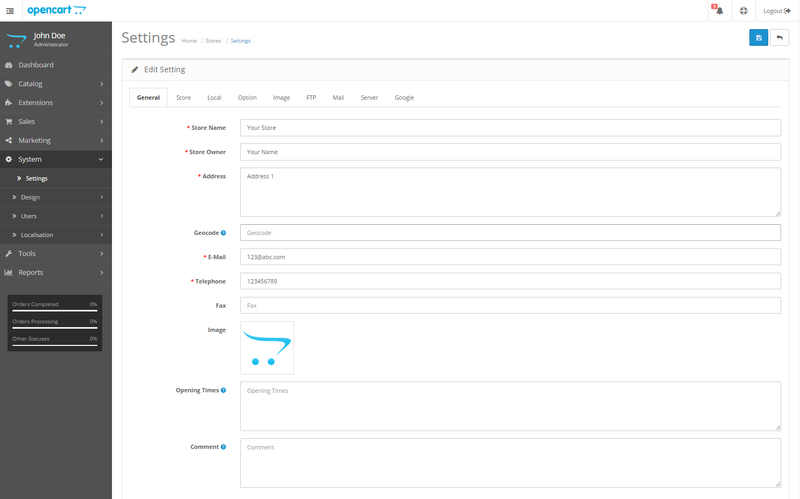 Download a copy of your OpenCart files from your web server to your computer (through FTP) or from the hosting control panel. Then backup the database from OpenCart dashboard>tools>backup/restore. 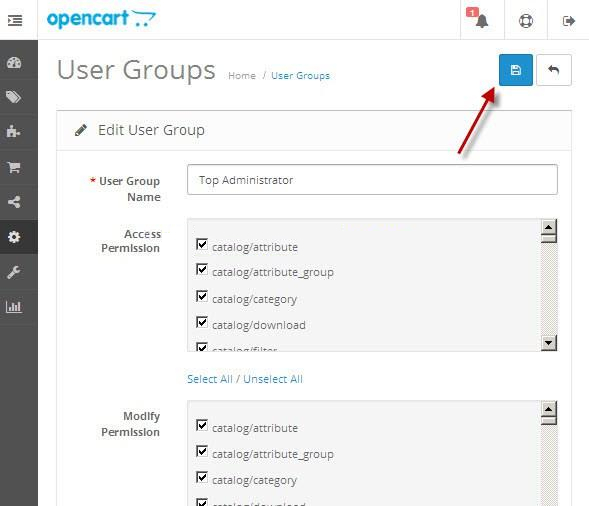 You can locate the latest version of the OpenCart on your dashboard. Download it, this would be a Zip file. Now, Unzip this file at an easy to accessible location. After unzipping, you will find a upload folder. Upload all its file and sub-folders from the computer to web hosting except upload/config.php. The uploading (to version 2.0.2.0) will take some time as there are more than 2000 files to be uploaded. A screen will appear once you initiate the auto-installer. Each new installation has an install subfolder in the root directory. Now we launch the auto-installer from your web browser. Enter the OpenCart domain name on the browser. Add/install/after your websites URL then press enter to initiate the auto-installer. After this, you will find a screen with further details about update process. You can edit the user group from here. Now, login to your OpenCart dashboard. Select users>user groups, a screen will appear (as shown in the screen shot below). Grant the Top Administrator group full access and permission to modify your OpenCart based e-store. Click select all button and save to expedite the process. You can make editing or updating here only. Go to settings>edit on the dashboard. A system setting page will appear. In case you want to make any changes or updates then do it here otherwise click save and move forward. This window marks the end of upgrading process. Once you complete the 5th step by clicking on save button, your upgrade process terminates. You can now enjoy the benefits of the latest version of OpenCart for your website.